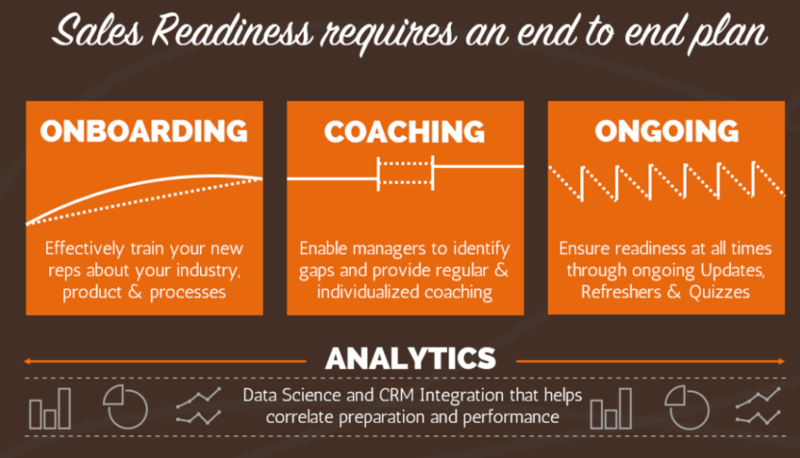 Sales enablement is all the rage, but companies are still struggling to provide their reps with the resources and training needed to succeed. Regardless of the field you’re in, your sales team is the bread & butter that keeps your engine running. They work hard each and every day to ensure that your organization has a steady pipeline of customers eager to give your products/services a go. No matter how skilled your other departments are, they’re the ones ensuring that you’re bringing in enough profit to keep the show running. So don’t you want to make sure that you’re giving them everything they need to reach their full potential? That’s why you’re here. To improve your sales enablement. 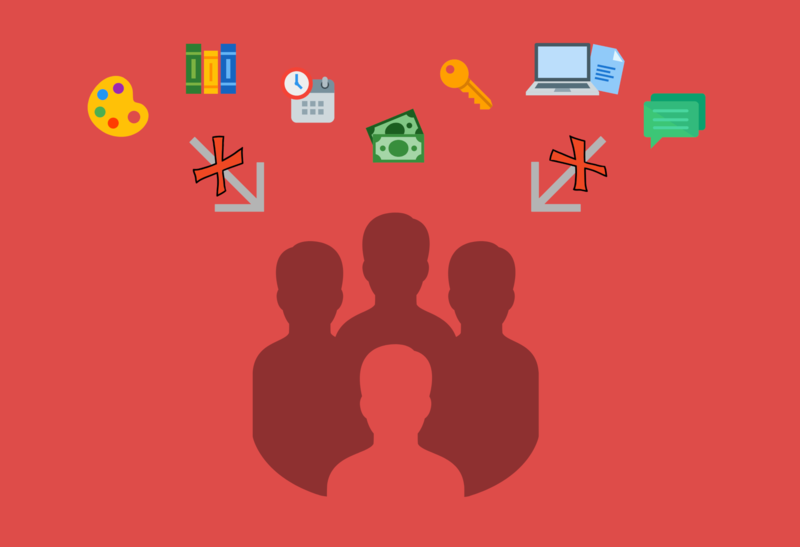 What exactly does Sales Enablement mean anyway? For those out of the loop, sales enablement is when you provide your sales reps with all the information they need. All the materials and tools. So that they’ll be successful at each stage of the buying process. They’ll also be able to answer any question their prospect throws at them, all while guiding them to the end goal (a sale!). This information can take the form of case studies, sales best practices, articles, etc. No matter what form the information takes, it needs to be easily digestible and transferable to every part of your sales department. With that said, don’t think that the key to major profits is as easy as giving your sales reps a couple articles on the internet. 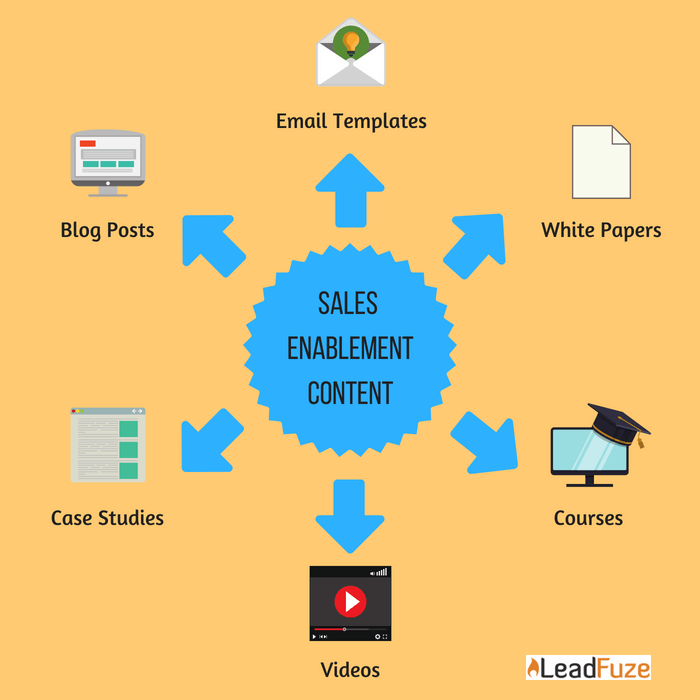 Sales enablement is really tricky and many organizations aren’t using it correctly in their day to day operations. To make sure that you’re successful in your efforts, we’ve put together a list of the 6 biggest sales enablement problems. All so you know what to watch out for along with the best practices that will get you to where you want to be. Yes, as it turns out, one of the biggest mistakes people make with their sales enablement starts right at the beginning of their onboarding process. You need to train your sales reps on how to use the content that your company has readily available along with why it’s so important to do so, and the best way to do that is by incorporating these pieces of content into your onboarding process so that your trainees are better familiarized with it. By this, I mean are you coaching your reps on how to promote your products/services, how to present them to leads, and how to deliver as much positive information concerning the value of your product as possible. I know that sometimes this step is hard, but it is necessary if you want your team to reach the level of engagement and success that you want them to. Make sure to settle any beefs between your sales and marketing teams, then sit them all down to discuss your new plan of action. Because a major issue with most companies’ sales enablement is that their sales & marketing teams don’t work together. Now don’t get me wrong, I’m not saying that you should tear down your walls and adopt an open floor plan. Just that more effort needs to be put into making sure that these two departments are on the same page with their strategies and that they’re working as one cohesive unit. So get out there and make sure that your sales & marketing departments are sharing information, insights, and are working together to nurture leads and close deals for your organization. Now that you understand how important content is during the onboarding process, you can also understand why it’s important that you’re working to ensure that your blogs, case studies, articles, and even your social media posts, are all of the highest quality that will not only display your organization in a good light but will fill your sales reps in on everything that they need to know to be successful. Key Point: Be research-driven and use hard data. Although this may seem like a no-brainer, you’d be surprised by the lack of research and planning that goes into many brands marketing materials. Unfortunately, many brands see their blog or other written collateral as a task that they can rush through in their spare time, and the lack of effort can be seen in the end result. To avoid creating any content that misses its mark, make sure that you’re pulling plenty of hard-data and researched points so that your content is better accepted. This is because when it’s delivered with information from solid sources that support your point, your sales people will be more likely to take the message seriously. Also, in order to make sure that your piece hits all the points that you want it to, make sure that you’re taking the time to thoroughly outline each and every piece with your research and important points before you get started. That way you’re sure that you don’t miss anything and that you’re hitting each point that you wanted to. We can all agree that a major part of sales in 2018 is utilizing technology to its fullest extent so as to make a sales person’s job that much easier (CRM, chrome extensions, automation tools, etc). A good piece of technology should help the sales rep qualify leads and instruct them on the best way to go about initiating a conversation with a new lead. A great example can be seen in LeadFuze, where some features include automated list building, email outreach, and personalized reports. Automation tools that increase the productivity and efficiency of your sales reps.
CRM software that tracks and manages your leads as well as relaying important data regarding your sales process. Remember that you’re a sales person in the 21st century. So make sure that you have the tools that represent that. In sales, building a strong relationship with your clientele and prospects should be your number one priority. Having a solid relationship with your leads puts you in a much better position. Way better than another sales rep who is just shooting a generic sales pitch to a bunch of emails on a contact list. Your clients may not have the same level of expertise in your field as you do. So, make sure that you’re sharing all important information with them. Doing so will create more confidence and trust in you in each step of the process. A large part of making your client feel special is responding to their questions and comments. Especially in a timely manner. All so they know they’re one of your top priorities. This means that you should never take more than one business day to respond to an email or phone call (unless you have a really good excuse). Lastly, it’s crucial that you lay the foundation down. Creating a place your clients feel comfortable being as honest and open with you as they need to be. If not, they’ll feel like their ideas and concerns aren’t being taken seriously. They may want to move on to the next sales person that will make them feel at ease. This one may seem like a no-brainer but is worth bringing up regardless. You should always be working to exceed your clients’ expectations at each step of the process. Have your client in mind and start thinking of what’s important to them. This could mean delivering work that’s really visually appealing. Or giving detailed walkthroughs so that they fully understand each feature. Things like that. If you approach sales enablement the correct way, your sales reps will be equipped with everything they need to cultivate a strong relationship with their clients and will stand out from the sea of sales people trying to get their attention. What’s one of the most common problem with organizations? Transparency. 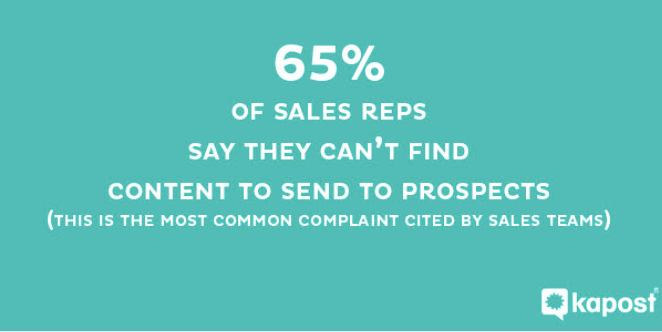 Usually those with a complex sales process are less transparent. That tends to cause a level of distrust and a lack of collaboration. Everyone at the company should be able to see what’s going on behind the scenes. Especially when it comes to something as important as sales. Start by openly sharing the information that you all have on your prospects and customers. Along with instilling levels of transparency within your other departments. That way everyone can benefit from each others’ knowledge base. Sales enablement has the power to really benefit your sales reps. But only if you use it correctly. Give it a half-hearted effort and it’ll show half-hearted results. So take the time out to sit down with your sales department. And thoroughly dissect each step of your sales process to understand exactly where and how sales enablement can benefit your organization.